The 13th St. Jerome Translation Contest is ongoing and the final deadline for entries - 31 January - is fast approaching! The United Nations Remember Slavery Programme celebrated African heritage during the Kwanzaa celebration at the African Burial Ground National Monument in New York City. In November 2016, the Department of Field Support launched its Environment Strategy to reduce the environmental footprint for UN field missions. 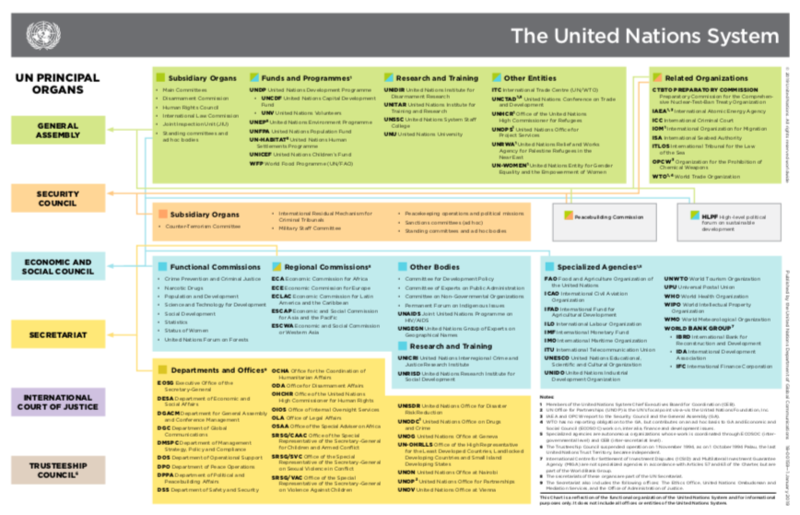 Interested in researching the creation of the United Nations? How was it established, and why is it organised as it is? How did the five permanent members of the Security Council gain the right to veto, and how was the jurisdiction of the International Court of Justice decided? Who wrote and approved the UN Charter? On 7 December, the Department of Peacekeeping Operations (DPKO) launched new training materials on child protectionfor United Nations police officers. On 5 and 6 December 2017, more than fifty experts from nine sanctions monitoring groups, teams and panels, delegates from the Security Council, and representatives from across the United Nations system gathered at UNHQs to participate in the fifth annual Inter-Panel Coordination Workshop organized by DPA’s Security Council Affairs Division. The United Nations Police Division, in partnership with the African Union, recently concluded a command development course specially for female senior police officers in Addis Ababa, Ethiopia. Under-Secretary-General for Peacekeeping Operations, Jean-Pierre Lacroix, announced his participation in the International Gender Champions initiative, alongside the Secretary-General, the Under-Secretary-General for Field Support and other senior UN officials.